Alex Latchininsky was “stunned” recently to find locusts in Tajikistan hatching in the first week of March — six weeks earlier than normal. He had noticed for years that the warmer climate was impacting locusts, both in Central Asia and in Wyoming, where the University of Wyoming professor and extension entomologist splits his time. But a March hatch in Tajikistan was especially striking. Latchininsky consults the United Nations Food and Agriculture Organization and advises agencies in the United States on grasshopper control and monitoring. He hasn’t performed a study specifically looking for a link between temperature and grasshopper populations, but his field observations, knowledge of grasshoppers and other research have led him to conclude that the insects do better as the climate warms, he said. 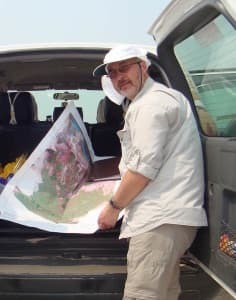 He and his colleagues first noticed changes in grasshopper behavior in central Asia in the early 2000s. Several species of grasshoppers and locusts were living and breeding at higher altitudes and moving further into Northern regions than they had before. With milder temperatures grasshoppers survive longer, too. Instead of a single generation, two generations can exist at the same time. He’s also noticed changes in Wyoming. 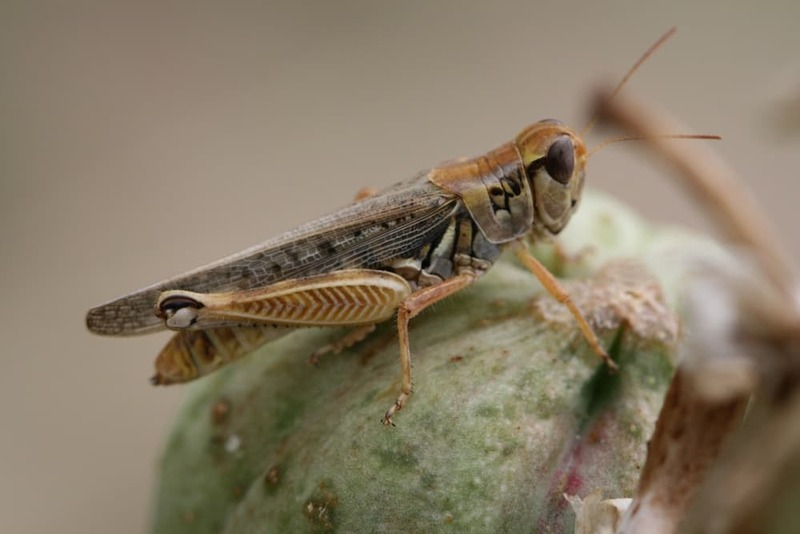 While there hasn’t been a major grasshopper outbreak in the state since 2010, milder winters mean the insect populations are building strength, developing faster, producing more offspring and living longer. The gray bird grasshopper used to only travel as far north as south Texas, he said. Several times in recent years it’s made its way to Cheyenne and Lusk. 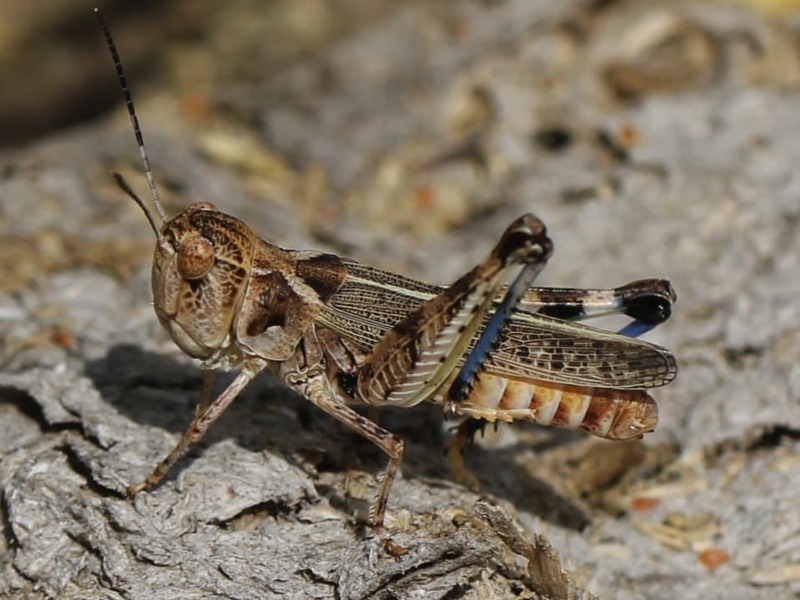 While he hasn’t seen multiple generations in the field in Wyoming, he has seen grasshoppers start hatching a little earlier each year, especially after mild winters. The state has about 100 different species of grasshoppers, with 10 major species that normally hatch between mid-May to mid-June. This year he expects they will hatch in early May. 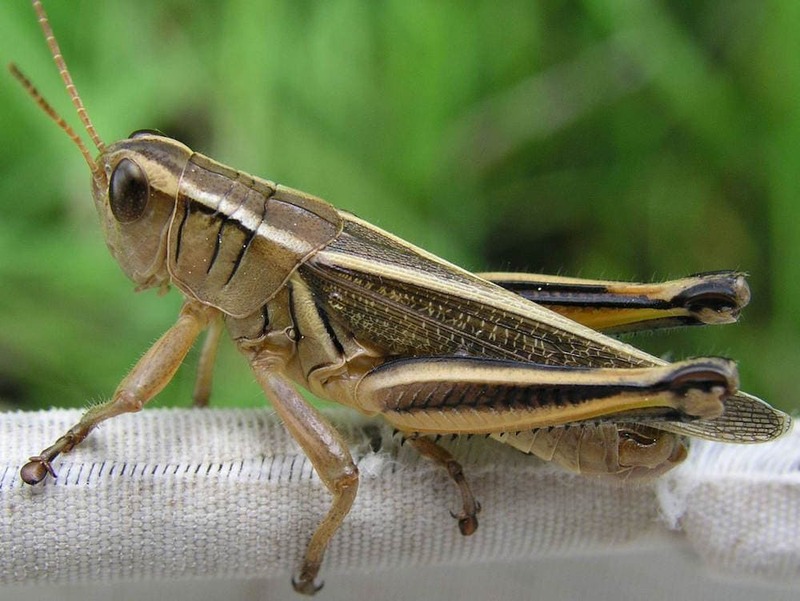 In normal years, grasshoppers destroy 20 percent to 25 percent of range vegetation in areas where they’re present. In outbreak years, like 2010, they can destroy nearly all the vegetation, competing with livestock and wildlife for forage and damaging crops. Wyoming’s grasshoppers are all native and a normal part of the ecosystem. 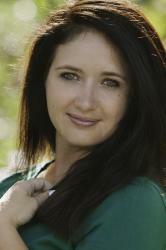 “They are really important for normal rangeland and prairie ecosystems,” Latchininsky said. “They feed on plants and also stimulate plant growth, like someone mowing a lawn.” They also are an important part of the nutrient cycle and a food source for prairie animals. But in warmer climates the insects are drawn to already stressed plants. While Latchininsky doesn’t expect an outbreak this year, he does anticipate the insect populations gaining strength. The University of Wyoming hosted a short entomology course this week for weed and pest specialists. Grasshoppers were a big topic of discussion, Latchininsky said. The best way to combat grasshopper epidemics is to practice good rangeland management, including avoiding overgrazing. Grasshoppers “adore” mosaic vegetation. Land managers can also use insecticides that specifically target grasshoppers but don’t impact other pollinators or people. Grasshopper productivity has been consistent since the last outbreak in 2010, Slade Franklin said. The weed and pest coordinator with the Wyoming Department of Agriculture says there are often hot spots in the state, like recently in Uinta County and the Bighorn mountains. Traditionally grasshoppers don’t do as well in wet springs. The moisture makes them more susceptible to bacterial infections and colder weather makes it harder for eggs to survive. However, Wyoming’s grasshoppers seem to have adapted. While there hasn’t been a major outbreak recently, there also haven’t been low population years. Last year there was a slight increase in grasshoppers in the state. It wasn’t near epidemic levels, but the uptick did show the populations getting stronger, Latchininsky said. The next outbreak could be right around the corner. This article has some excellent photos of grasshoppers but I have discovered there are certain types that are more hazardous to rangeland than others. Our local weed and pest supervisor had told me to be on the watch for tiny hoppers that are only about 1/2 an inch when they are fully developed. The middle picture (the one that has an inverted V on its back) is common and not considered all that hazardous-until the numbers are excessive. What I can’t tell by looking at the other photos is their size. The first one and the 3rd shot ?? Without seeing how big they are and at what stage of life they are, it is pretty difficult to tell whether they will be the ones that we will wish had been targeted early in the season. The state of Wyoming has a booklet with high-gloss photos of the hoppers that you can get by contacting the state office that oversees the grasshopper protection program. What is the name of the insecticide available that targets grasshoppers?